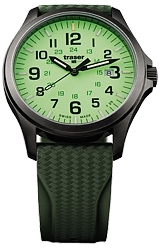 Traser's P67 Lime Officer Pro GunMetal Watch, model 106424, offers a fantastic Lumibrite Glowing Dial in Lime Green plus Tritium Illumination on all number markers and hands. 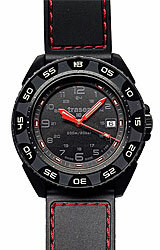 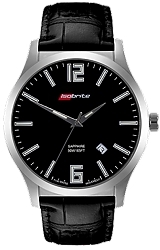 The Traser P67 Glowing Dial Watches are the easiest to read watch ever designed under any lighting conditions. 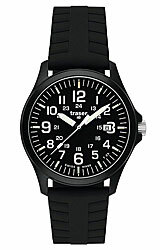 These fine Military Grade Officer Field Watch have a gunmetal finish stainless steel case and a nearly scratchproof sapphire crystal.